Bharti Airtel is currently trading at Rs. 370.15, up by 3.00 points or 0.82% from its previous closing of Rs. 367.15 on the BSE.The scrip opened at Rs. 372.00 and has touched a high and low of Rs. 372.00 and Rs. 366.00 respectively. So far 80777 shares were traded on the counter. The BSE group 'A' stock of face value Rs. 5 has touched a 52 week high of Rs. 565.00 on 03-Nov-2017 and a 52 week low of Rs. 352.10 on 22-May-2018.Last one week high and low of the scrip stood at Rs. 382.95 and Rs. 359.00 respectively. The current market cap of the company is Rs. 147384.14 crore. The promoters holding in the company stood at 67.14%, while Institutions and Non-Institutions held 30.83% and 2.03% respectively.Bharti Airtel has crossed the 50 lakh customers' mark in Jammu and Kashmir (J&K). 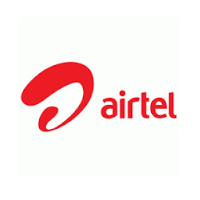 Recently, over 83 percent of all Aircel customers in J&K ported to Airtel. The company has also announced a massive network expansion drive to further scale up its high-speed data services across J&K. The company plans to expand its network footprint in the state to 11,400 mobile sites by the end of H1 FY19.